Get the latest in Just Credible delivered to your inbox. Besides being one of the most important forms of livestock, horses are also counted among the best companions of humans. Not only they can bind with children but also show an inexplicable amount of loyalty to the owners, which is why, a number of people look up to adopting miniature horses as pets. Miniature horses’ range between 34 inches to 38 inches or approximately 3 feet. This ideal size makes them the perfect friend for children and also makes it easier for the owners to take care of them. However, raising miniature horses is no different from the full-grown ones. The guide to miniature horses as beginners primarily explains that they need similar care just like a grown individual. If you are looking for such miniature horse facts, you are definitely at the right place. Miniature horses tend to eat a number of things outside their diet. Their compact size brings them a tendency to gain weight and are thus referred to as “easy keepers”. The owner should mandatory keep them on low calorie diet to keep them fit and prevent obesity. Miniature horses have a very warm and welcoming attitude towards humans which makes them the perfect companion. They are very easy to deal with and are very responsive. A number of people adopt miniature horses as pets because of their cooperative and friendly behavior towards children. They are ideal for pony rides for children and thus become the best friend of the little hearts. The miniature horses are known to have an average lifespan of 25 years to 35 years. On the contrary, a full-grown horse is expected to live approximately 25 years to 30 years. Miniature horses are often tough from the core which contributes to their longer lifespan. Hence, on an average, the lifespan of miniature horses is comparatively a little longer than the average ones. This also means that the owners can enjoy their company for a longer period of time. Miniature horses need the warmth of human and thus should not be left on their own. They are very sensitive and expect attention. Besides, they can be kept well on green grass, proper shade and clean water. Miniature horses as service animals are very popular among old age people. They have instincts similar to service dogs and can be ideally trained to provide much-needed assistance to the differently abled. They are very easy to train and are obedient to the core, which makes miniature horses a perfect companion. In some regions, several NGOs arrange equine visits to old age home or hospitals to provide care and warmth to the people. Though miniature horse can be the best companions, their natural instinct is no different from that from the full-grown horses. Miniature horses have similar instincts just like the other horses. Among them, the natural fight or flight instinct happens to be the primary one. They can be trained for physical activities and can be great at sports too. Thus, there are several miniature horse events organized for showcasing their talents and wisdom to people. However, they are a little slower compared to the full-grown horses because of their compact size. Still, their behavior distinctly matches up to the equine instincts. The diet for miniature horses is comparatively lighter than the full-grown horses. This is because the latter is primarily built for livestock, races and endure physical workload of different kinds. Due to this, the full-size horses have an average food consumption of 15 pounds to 20 pounds. Whereas, the food consumption of miniature horses weigh an approximate 2 pounds to 4 pounds. The primary miniature horse diet consists of grass, hay and grains and can therefore be quiet easily afforded by people. So, a huge number of people look up to adopting miniature horses as pets because of their low-cost diet and friendly behavior. Though smaller in size, miniature horses are more prone to diseases and easily catch infection at a greater rate than a full-grown horse. These horses are henceforth in need of complete medical assistance just like a normal full-grown horse does. The health management and medical services for a miniature horse should not be compromised because of their size and shape. 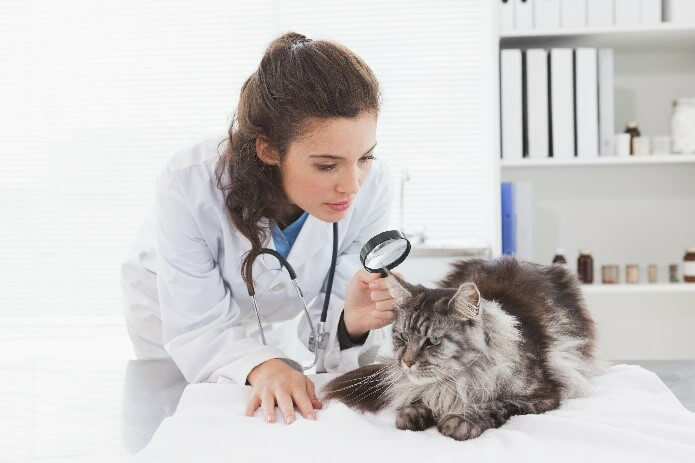 Hence, one should never miss out on their veterinary visits and definitely be careful towards their upkeep. In the ancient days, miniature horses were adopted as royalties and were the favorite animals to pet by queens and princesses. Miniature horses were bred separately for royal purposes. Yet, due to their exceptional physical strength and sturdy nature, they were used for a number of purposes as well. Besides adopting miniature horses as royalties, they were also used in mines by mine workers. Because of their small size, these miniature horses could easily fit inside small cut outs and help the workers in carrying loads. Miniature horse barn should be properly maintained. Though they are of small sizes, miniature horses should not be kept inside traps or cages and should be given ample space for free living and independence. Miniature horses as pets are the best decision for anyone who is looking for a companion. Nevertheless, if you want a companion to go to the park and play with you or go for walks, then miniature horses are just not the one. Although small, they have their equine instincts intact and thus cannot be mistaken with dogs. However, they are often in terms of service animals and show inexplicable response to people who are in dire need. Also, for owners who need buddies for their little children, nothing can be better than miniature horses for the long run. Amazing Ways to Watch Netflix for Free? How to Franchise Your Restaurant Business for Growth? Copyright © 2019 Just Credible. All rights reserved.